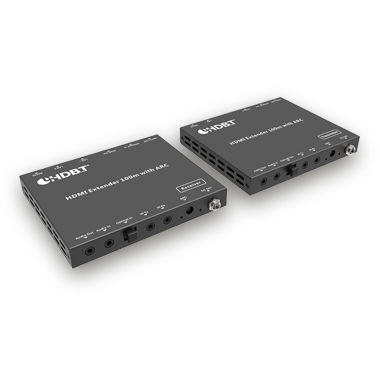 The HDMI Extender enables transmission of video resolutions up to 4K UHD, along with HD audio, dedicated analog audio pathways, 100BaseT Ethernet, 2-Way IR, RS-232, 2-Way PoC and ARC signals up to 330ft/100m. ARC (Audio Return Channel) function enables audio from a compatible display to be routed back from the receiver unit to the transmitter. Using the latest HDBaseT™ 2.0 technology can make your home or office set-up more efficient and easy to use.